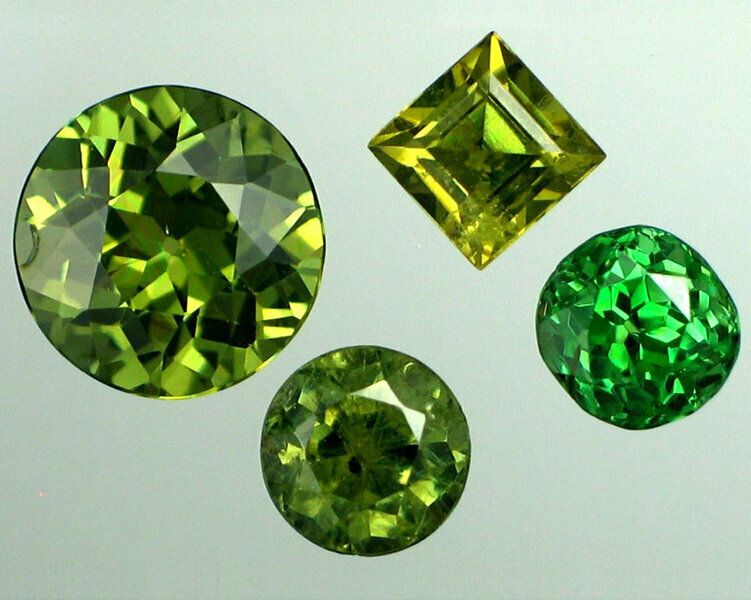 Demantoid garnets, a green, and very lustrous type of garnet. They have characteristic inclusions that look like horsetails. 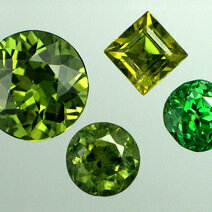 Demantoid garnets has a hardness of 6-7 and a specific gravity of 3.8 - 3.9. This variety of garnet is mostly found in antique jewellery. Another more brilliant green garnet is the Tsavorite garnet that is the colour found in the best emeralds. It has a hardness of 7.0 - 7.5 and a specific gravity of 3.45 - 3.55.